Creators of classical cakes, desserts & pastries with a modern European flair. Founders of the famous fresh fruit strudel. We at Hans & Harry’s Bakery are committed to creating & producing classical desserts & cakes by using the finest of ingredients. Our goal is for our customers to truly enjoy their experience from the time they walk in to their very last crumb. The owners strongly believe in taking on a “hands-on” approach to groom & train the staff so that the high standards are always achieved. 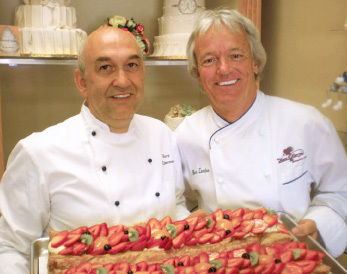 Hans Zandee and Harry Eijsermans were trained in the fine arts of European cake design and baking in their native country of Holland. Both have had international experience working onboard cruise ships and for various hotels worldwide, which has shaped their style and creativity. Combining over eight decades of experience, they have been able to achieve the best of the Old-World European style cakes, with the current creations of quality crafted cakes. They partnered up in September 1991 and Hans & Harry’s Bakery was born. The bakery’s presence in San Diego, especially in the South Bay community has largely grown since then. Hans & Harry’s has become a family tradition for many, celebrating their birthdays, weddings, baby showers & other family gatherings. After 24 years of success at the bakery, Hans retired in July 2015 and now resides in Florida. With the retirement of Hans Zandee, Harry brought Sumi Campbell onboard as the second co-owner of Hans & Harry’s Bakery in July of 2015. Sumi relocated from Singapore to Hyde Park, NY and received her degree in Baking & Pastry at The Culinary Institute of America. She owned & operated Sumi’s Oven in Carmel Mountain from 2008 to 2015. Before launching Sumi’s Oven, she was the Head Cake Decorator at Hans & Harry’s Bakery from 2006 to 2009. 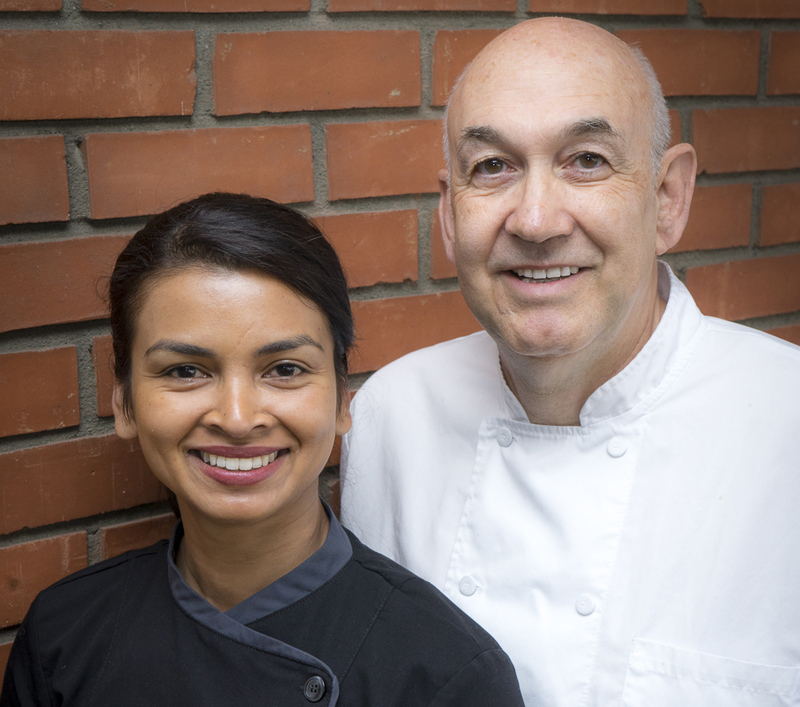 Both Harry and Sumi’s goal is to continue producing classical European style desserts and work hard in maintaining the success of Hans & Harry’s Bakery for many more years to come.